This popular restaurant and bar is located in the heart of one of Wisconsin’s premier lake resort communities, less than a two hour drive from Milwaukee. 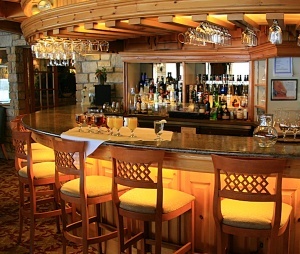 The bar and grill provide a comfortable informal atmosphere to get a meal or a drink with friends and family. There are game tables for gathering, a large open bar area, separate dining room, and an outdoor patio that is open in the summer. The menu, which is updated seasonally, has a wide variety of choices including burgers, salads, sandwiches, wood fired pizza and dinner entrées such as steak, salmon and pasta. The restaurant is open year-round but is busiest in the summer months when the town and surrounding communities are filled with summer residents and visitors. The restaurant is located on the first floor of a two-story stand-alone building owned by the seller and included in the sale price. The second floor is a banquet hall used for large events, such as rehearsal dinners, school parties, and local sports team parties. The restaurant also provides catering services for local events outside of the restaurant. The staff varies from 25 employees in the winter to 55 in the summer. This is a unique opportunity for new owners to live and work in one of Wisconsin's most beautiful lake resort communities.